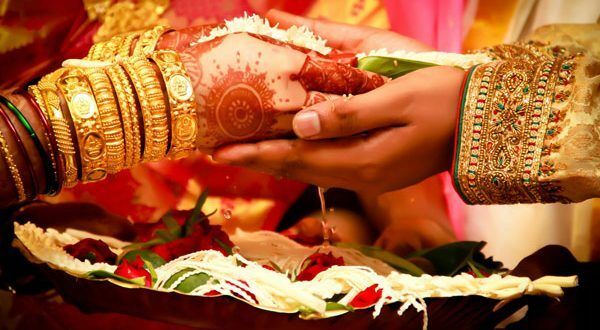 Bhubaneswar: The Odisha government on Tuesday hiked the incentives from the present Rs 1 lakh to Rs 2.5 lakh for intercaste marriage among Hindus in the state. SC and ST Minister Ramesh Chandra Majhi said the hiked incentives would be implemented with retrospective effect from September 14, 2017. In order to encourage inter-caste marriage, the incentives will be given to couple for marriage between upper caste Hindus and SC Hindus, he added. Earlier, the state government had hiked the incentives to Rs 1 lakh from Rs 50,000 to encourage more such inter-caste marriages. Officials said the amount would be given irrespective of the economic status of the marrying couple. At least 17% of Odisha’s population are Dalits.